"Lovers in Japan" is a song by English alternative rock band Coldplay. It was written by all members of the band for their fourth album, Viva la Vida or Death and All His Friends. The song is built around an introductory tack piano sound, then followed by chiming guitars and soaring choruses, supported by the pianos and rhythms that accompany the song's lyrics. 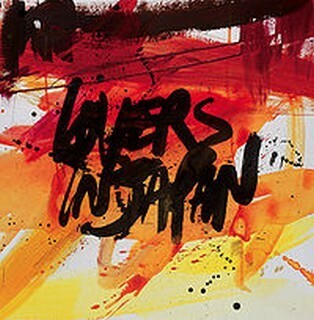 "Lovers in Japan" also includes the track "Reign of Love". It was released on 4 November 2008 as the fourth single from Viva la Vida or Death and All His Friends and has reached number 10 in Billboard's Bubbling Under Hot 100 Singles chart. The song has also appeared on Billboard's Hot Adult Top 40 Tracks on the number 19 peak position. "Lovers in Japan" was well-received by music critics, who noted the track's general sound.